It is hot this week. And muggy. I am barricading myself and my children inside during the heat of the day. We need entertainment. Our next Disney trip is still a few months away and I need a fix. I have a simple solution to solve both problems! I am heading on over to http://www.bartlett-sloan.net/tv/ . There, you can find a nice compilation of all Disney offerings on TV for the upcoming week. 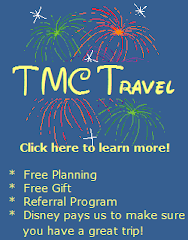 The Travel Channel programs on Disney are always a hit in our household. (Should I be worried that my 6 year old quotes Samantha Brown?) You can also find listings for shows you may not be on your radar. For example, you can find the listings for Buddy the "Cake Boss" and his Food & Wine Festival adventures. You can also be sure to tune in (or not!) to watch Kate Gosselin freak out as her brood gets covered with melting ice cream in the Magic Kingdom. HGTV and Food Network also have some great Disney specials that air through out the year. I always set my DVR and file away those little gems for sick days, snow days, and the like. And finally, for you park historians, you can find old episodes of sitcoms filmed in the Disney parks. Old episodes of Rosanne and Sabrina the Teenage Witch regularly air and give you glimpses of the parks as they used to be. (And let's face it, watching the fashion choices provide an whole other level on entertainment!) So head on over to Kirby Bartlett-Sloan's site and check it out. 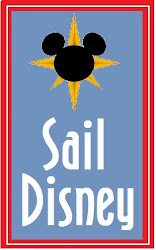 Be sure to bookmark it so that it is handy to be the summer/winter/sick/bored/rainy day/IneedaDisneyfix blues! 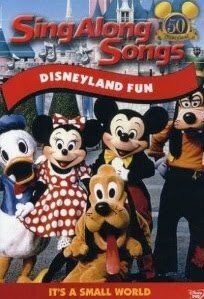 One my my kids' favorite videos for a long car trip is Disneyland Fun, a video in the Disney Sing-Along series. The video features all of your favorite characters running around in the parks singing popular Disney tunes. 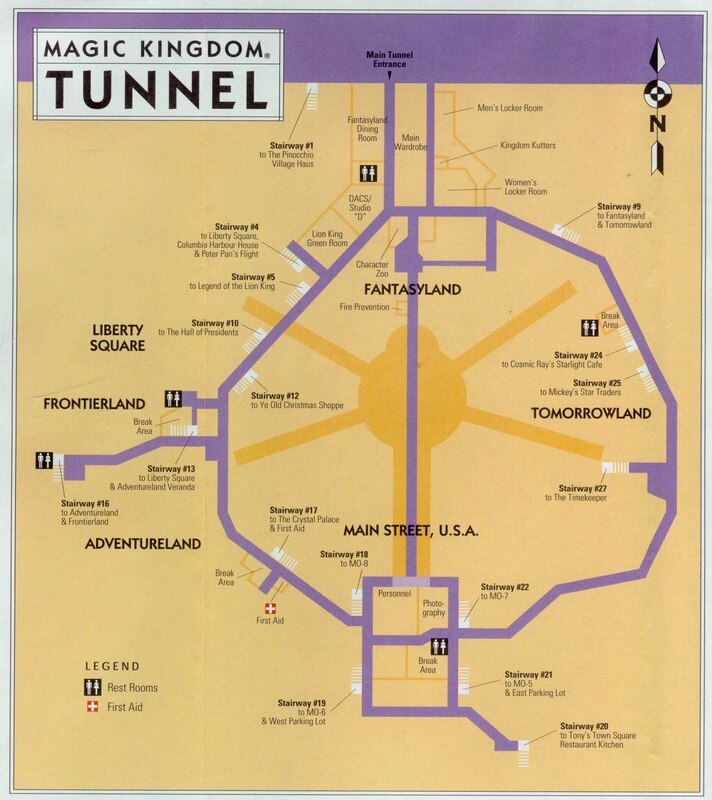 While the video is titled "Disneyland Fun" both Disneyland and Disney World are featured. It is a great way to give a little one a preview of the parks. One great feature for the young reader in your life is the words appear karaoke style on the screen. They will be learning while they sing and they won't even know it! This cute have hour video features12 songs sung by your favorite characters. The video opens with "Whistle While you Work" as Mickey and company prepare Main Street for the morning rush. Other highlights include a fast paced "Step in Time", a ride on Big Thunder and Splash Mountains to the tune of "Zip-A-Dee-Doo -Dah", a tour of Fantasyland during "It's a Small World" before concluding with "When You Wish Upon a Star" complete with fireworks set in front of Sleeping Beauty Castle. I enjoy the video for a completely different reason than my kids. The video appears to have been filmed in the late 80's or early 90's, and I can only look at the fashions and wonder "What were we thinking?" I was a minor at the time, so I hold my parents responsible! Big hair, mullets, scrunchies, and men in short shorts and "Hammer pants" are abundant. The long lost Roger Rabbit is also a featured character. While some things in the Parks never seem to change, this video gives you a peek at attractions gone by. While it was nice to see the submarines and Skyway again, my kids wonder why they can't ride them! 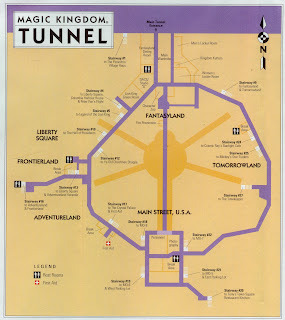 In spite of the dated look, "Disneyland Fun" is still worth your time. You kids will enjoy the sight and sounds and you will enjoy reliving days gone buy. You can take it home for $10 from amazon.com or you can add it to your Netflix queue! There are several other videos in the series that I will feature in future posts.